End of mega-cheap personal loans? 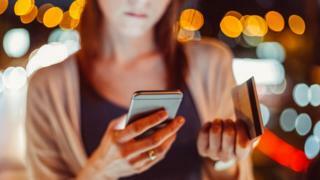 Strikingly cheap high-value loans and long 0% credit card balance transfer deals could be coming to an end, an expert has suggested. Andrew Hagger, an analyst at financial consultancy Moneycomms, said that sub-3% interest loans of more than £10,000 were now very rare. The length of credit card 0% balance transfer deals was also shortening. Concerns have been raised that an era of cheap loans has led many young people to rely too much on credit. The City regulator, the Financial Conduct Authority, and the Bank of England have expressed worries about young people getting used to credit during a period of low interest rates to pay for basic living costs. This could expose them to financial difficulty when rates rise. Mr Hagger said the latest "best-buy" tables signalled a shift away from the deals available in recent years. He said it was more expensive to borrow larger sums, and the longest 0% balance transfer periods on credit cards had fallen from 43 months at the start of the year to 38 months now, with some falling at a faster rate. "I suspect that the sub-3% personal loan may soon become a thing of the past and I doubt we will ever see the record 43-month 0% balance transfer term breached again," he said. A balance transfer effectively allows a borrower to use a new credit card to pay off debt on another credit card. Failing to meet a repayment deadline can leave people in a serious spiral of debt, charities warn. Figures published by the Bank of England last week showed that unsecured borrowing through loans, overdrafts and credit cards was still growing at 9.6% a year, but that this rate had slowed slightly during the summer. This was echoed by the head of the FCA, Andrew Bailey, who said: "There is a pronounced build up of indebtedness amongst the younger age group." He said consumers, and institutions that lend to them, should be aware that interest rates may rise in the future and that credit should be "affordable". When should you start to worry about your debts?